Water didn't just pour into city streets during last week's storm, it was also stashed away by rain harvesting enthusiasts. "It’s crazy we have all this wasted water that is flooding our cities and we could be capturing and using it," says Claire Elliot, a home owner in Palo Alto. Elliot has six barrels in her back yard that she uses to water her plants. Though they hold a total of 300 gallons of water, she says all six filled up within a couple of hours. "I was excited to see them fill up but the question is whether I can use all the water before the next storm event." The water is not potable but can be used as "graywater," for outdoor irrigation, laundry and dish washing. It hasn't been universally embraced. In parts of the West, rainwater harvesting has been outlawed, seen as an infringement on those who have downstream water rights on rivers where that rain might end up. But Californians have legally been able to collect household runoff without a permit since 2012. 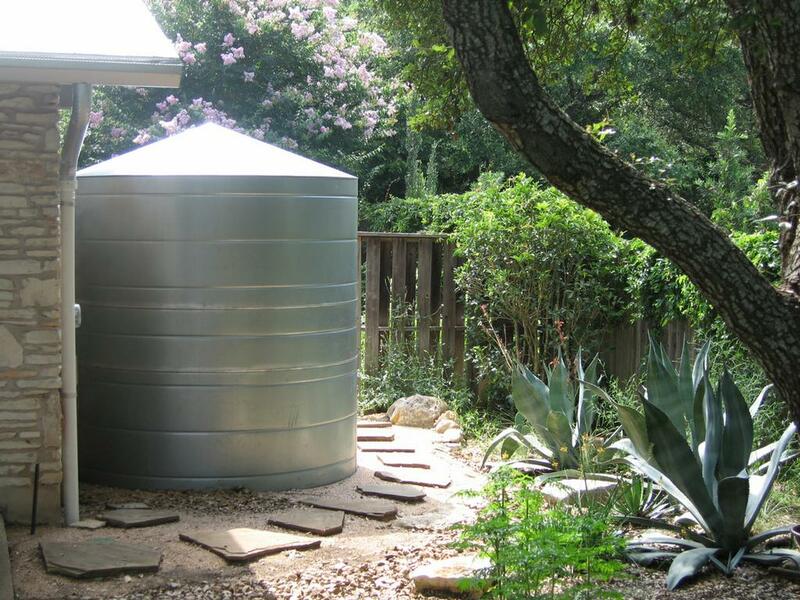 In fact, several counties and the Bay Area Water Supply & Conservation Agency provide up to $100 in rebates for barrels or cisterns purchased for rainwater harvesting. BAWSCA has issued 75 rebates since launching its program in October. "We were getting calls the first day after the program was announced," says Water Resources Manager Michael Hurley. San Francisco will start a similar program by spring of next year. Most systems for corralling rainwater use a barrel, a mesh screen and a diverter. As rainfall collects in rooftop gutters, instead of gushing out of downspouts it takes a detour through the diverter and into storage. Since the first rush of water often contains contaminants like leaves, insects and animal waste, many diverters will capture this debris and prevent it from flowing into the barrel, and the mesh discourages mosquitoes from using the collected water as a nursery. In Australia, rainwater collection systems became standard accessories during the recent nine-year drought known as the Big Dry, but have been slower to catch on in California. During a previous four-year program, San Francisco issued fewer than 1,000 rebates for rain catchments within the city. "This is a tangible activity that people can do on their own to try and help address drought conditions," said Hurley. "It won’t be the entire solution but it provides some benefit to home owners and the region." 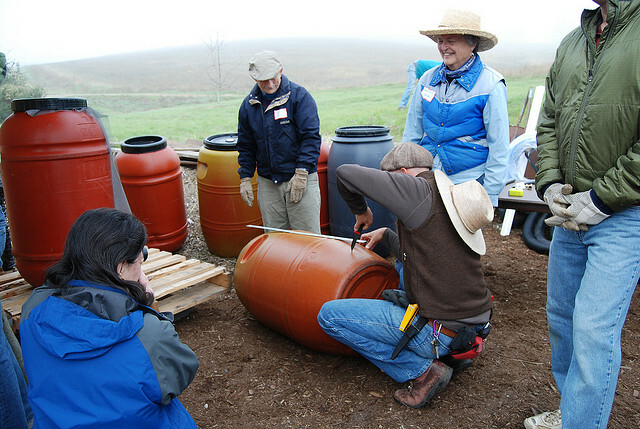 Rain barrels are available at most large hardware supply stores and hold between 50 and 200 gallons of water. A 100-gallon barrel costs about $200.